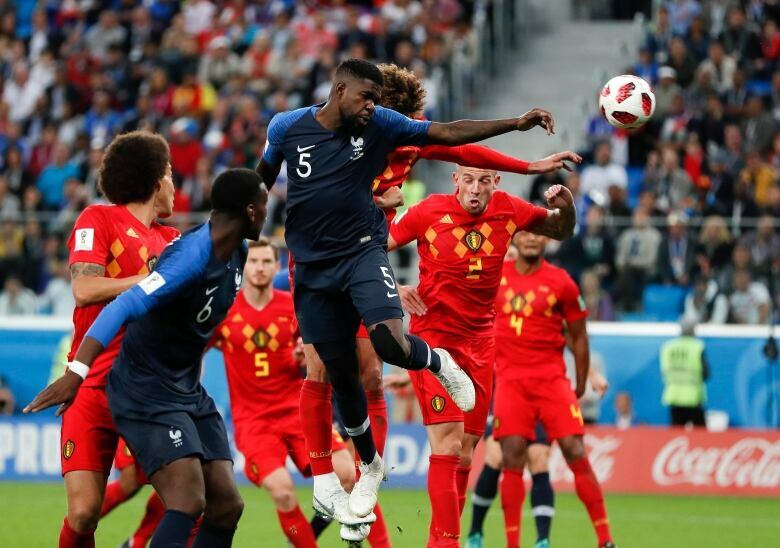 Having gained the lead, France showed the defensive nous to nullify the threat from Belgium's Eden Hazard and Kevin de Bruyne, closing out the game for a win that sent them to their second straight major tournament final, following their loss to Portugal in Euro 2016. But the worrying factor for whoever wins Wednesday's game in Moscow is that France still look to have another gear to move into. "We showed character and mentality, it was very hard for us tonight. We worked hard defensively, we needed to take advantage a bit more in the counter-attacks but congratulations to my players and my staff," he said. "Unfortunately for us the difference was a dead-ball situation. The game was very close, very tight and it was going to be decided by a little bit of luck in front of goal," he said.